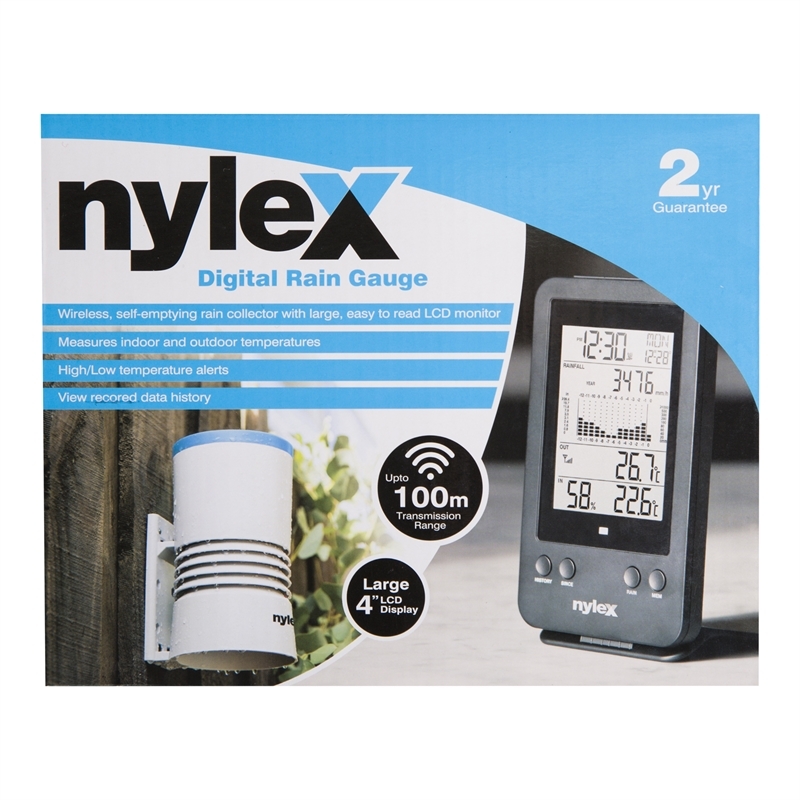 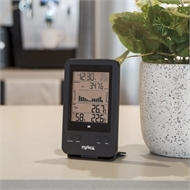 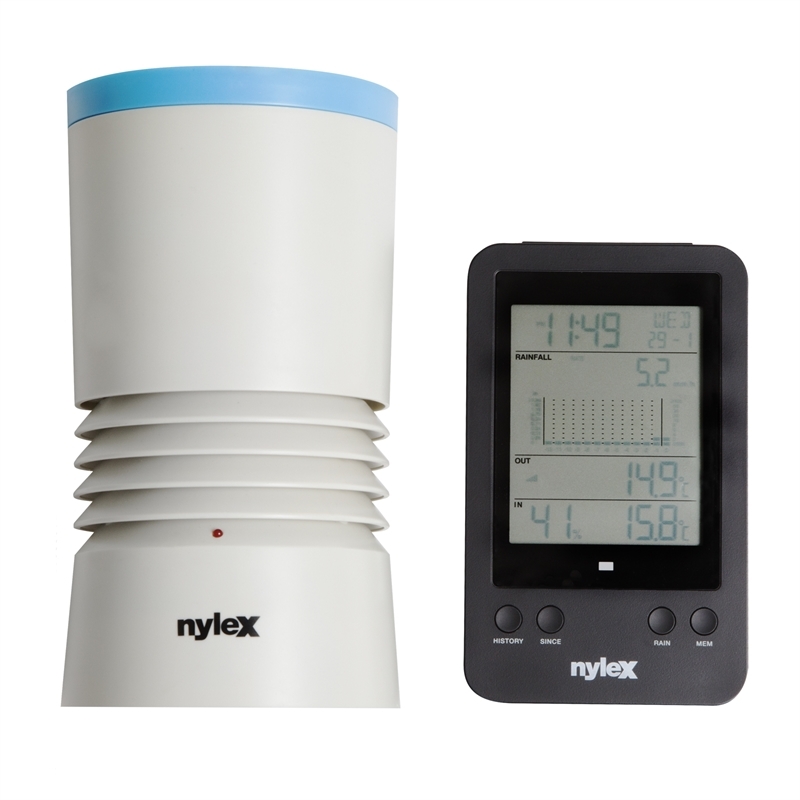 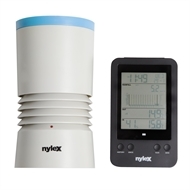 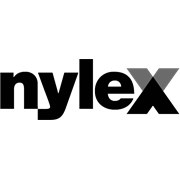 The new Nylex Digital Rain Gauge has a wireless self-emptying rain collector for measuring rainfall. 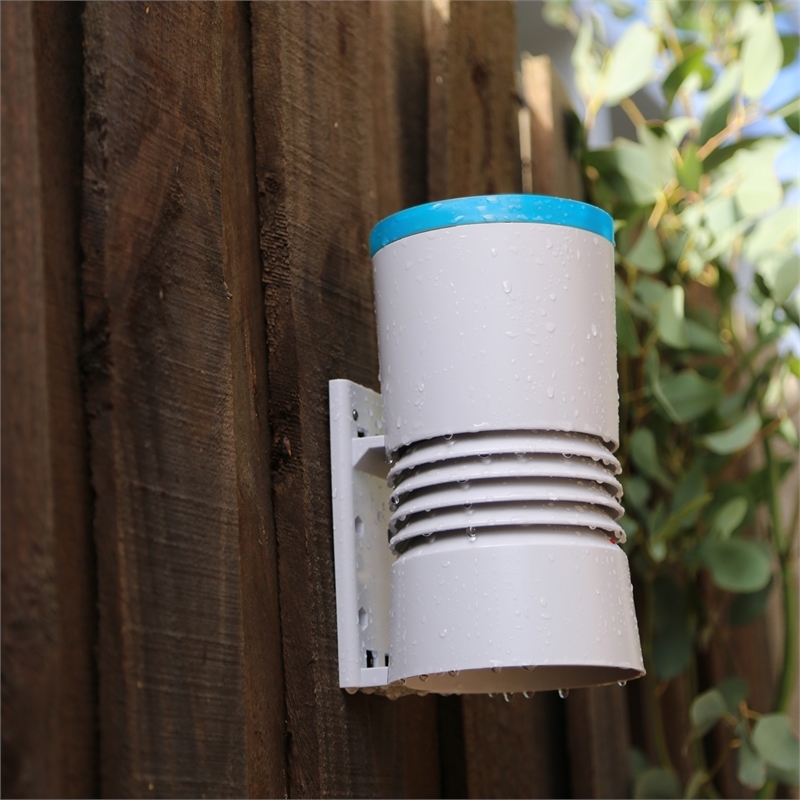 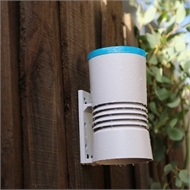 The wireless rain collector sensor transmits data by using a low power radio frequency to the display main unit that can be located up to 100m away (within line of sight). The display unit stores the data over a time range to allow you to monitor and analyse the weather status for past 24 hours and records of rainfall in terms of rain rate, hourly, daily, weekly, monthly and yearly records for your convenience.